We hope to announce the new Vice-Chancellor by the end of 2018. 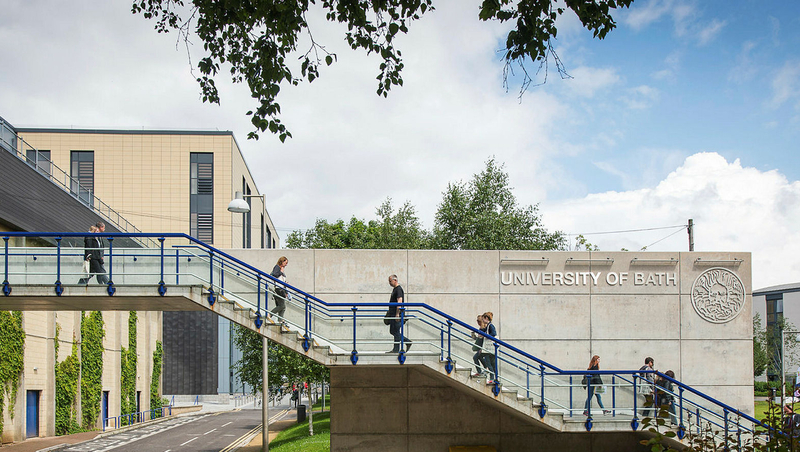 Fifty years of achievement have seen us grow into a globally recognised University with world-leading research, attracting students from over 130 countries. We are now searching for a new Vice-Chancellor to work with our community and lead us into our next chapter. We want to make sure that our wide community of stakeholders is involved in the recruitment of the next Vice-Chancellor. This page details the recruitment timeline, so you can see the process being followed in the search to find the best candidate. As the project progresses we will update the information on this page. You can also find informal updates on the blog of our Director of HR, Richard Brooks. In February 2018 we held a series of focus groups with different groups of staff and students to hear their feedback as well as opening an online survey. We also engaged with local and national stakeholders outside the University, as well as our alumni community. In March the relevant University committees met to agree details such as the job description. April and May 2018 involve a period of advertising and a targeted search by global executive search and assessment firm Saxton Bampfylde who was appointed having reviewed seven possible agents. June and July involve longlisting then shortlisting. We then plan to run further engagement events with our staff and student community. We hope to be able to announce the new Vice-Chancellor by the end of 2018, following ratification by Senate and Council in September. View the recruitment timetable diagram. Engagement activities have been undertaken to involve stakeholders on issues including the direction of the University, the challenges a next Vice-Chancellor will face and the skills that they will need to address these. An online survey received a total of 857 responses and 21 focus groups were organised on the University campus and at Virgil Building, involving more than 200 people in total. Download the full Report of Initial Engagement Activities. Download the candidate information brief to find out more about the role of Vice-Chancellor and how to apply. The final selection process will take place between 26 and 31 July 2018. On Thursday 26 July candidates will engage with groups of staff and students giving them an opportunity to find out more about the University. What we see of candidates on that day will also help guide the final interview panels on Tuesday 31 July. Each candidate is being asked to do a presentation on their vision for the University to a mixed audience of staff as well as members of Council and Court. This will give an opportunity to ask questions of the candidates and provide feedback on each. If you are available and wish to put your name forward to be part of the audience for the presentation, please complete the New VC selection - candidate presentation questionnaire. A separate event will cover student input to the process. This offer is open until midday on Thursday 12 July. When we have a full list of those interested, we will use the information you have provided on the application to ensure that we get a good mix of people. The expectation is that there will be 40-50 members of the audience, so if we have more interest than this, the Committee on the Office of Vice-Chancellor will decide on who to invite. We will let you know if you have been successful soon after that. If you are invited to the event, you will be asked to sign a confidentiality statement to preserve candidates’ privacy through this process.